Judy Millar, All Arms Even, 2018. Acrylic and oil on canvas, 180 x 135cm. Courtesy: the artist and Gow Langsford Gallery, Auckland. Gow Langsford Gallery presents A World Not Of Things, a solo exhibition of new paintings by Judy Millar. 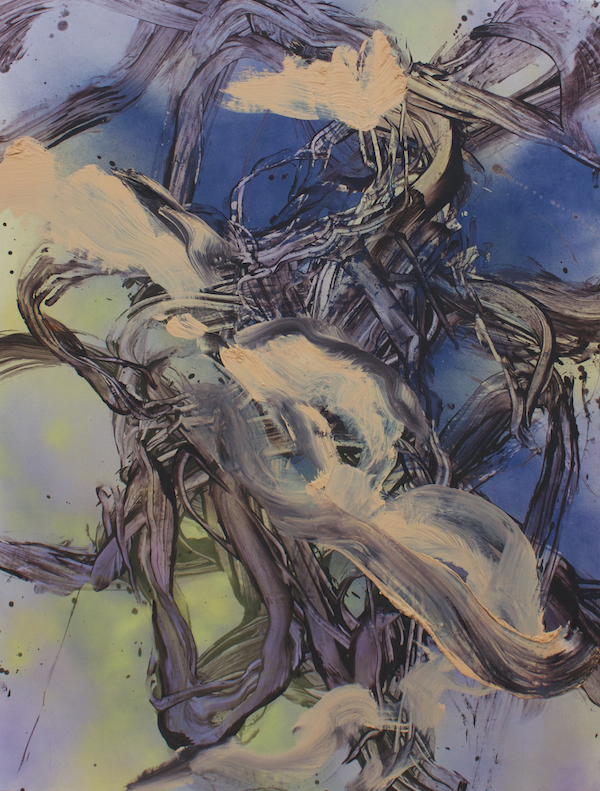 With her first ever survey exhibition recently opened at Kunstmuseum St. Gallen, Switzerland and her inclusion in Frozen Gesture, an exhibition which looks at the history of the brushstroke in contemporary painting at Kunst Museum Winterthur, also Switzerland (May to August 2019), Millar’s international profile is moving from strength to strength. Her new exhibition A World Not Of Things continues Millar’s questioning of the role of art and its inherent inadequacies in negotiating our everyday lives.